The game will include 3 Belmonts and Alucard. 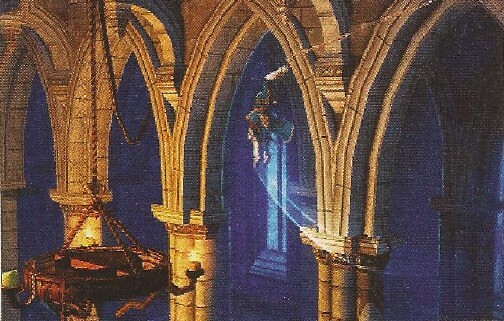 It is unknown if the third Belmont refers to major spoiler for Lords of Shadows Dracula or another playable character. Rumor no more. Castlevania Lords of Shadow: Mirror of Fate has been officially announced for the 3DS via Nintendo Power. The game will star Trevor Belmont and feel feature deep combat mechanics, light & shadow magic, and much more. You can view scans for the game below. If you haven't played it already, you may want to play Castlevania Lords of Shadow for the PS3 and Xbox 360 because this sounds like it's going to continue the story line established in that game. Thanks to @anon_mastermind for the heads up! 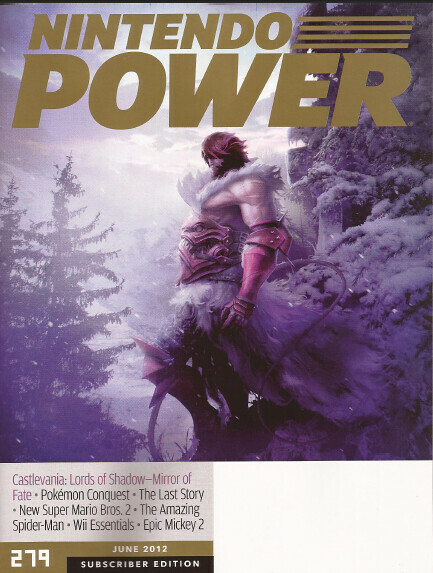 The latest issue of Nintendo Power is out, and some subscribers have already started to receive this month's edition. So what's on the cover? None other than that rumored Castlevania game for 3DS the internet has been buzzing about. The game is called Castlevania: Lords of Shadow - Mirror of Fate. Try saying that 10 times fast. The magazine reveals that Mirror of Fate's Belmont of choice will be Trevor Belmont. He will fight using his version of the Combat Cross, Gabriel's weapon from the original Castlevania: Lords of Shadow. 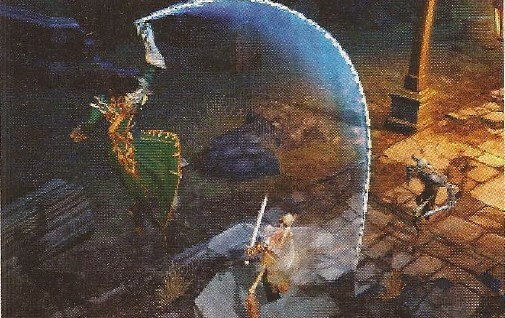 Other small details unveiled by the magazine (thanks to GoNintendo for the above scan) include the fact that light and shadow magic will be returning from the original Lords of Shadow. Using the L, R and face buttons, players will be able to attack with various weapons, grab enemies, block and dodge. Earning experience points will unlock the ability to execute combo moves, like launching enemies into the air, smashing them into the ground and so on. For all your Belmont needs, keep it locked on IGN. Wii U Virtual Console: What are your top three games for GBA and DS that you want to see? I wonder though, with team members from Lords of Shadow, will this game still retain its RPG elements that we've grown accustomed to on the handheld Castlevania games? Or will it be more in line with what we've seen with the reboot they've been responsible for? I wouldn't mind if it went back to its roots but still gave it a more modern twist on it. Maybe it'll be a way to bridge the gap between Lords of Shadow and its sequel. Very interesting. I'm itching for a new game in the series on a Nintendo handheld so badly... it has been too long since Order of Ecclesia. Do you think a home console will ever again host a Castlevania 2D game that ISN'T a VC release? No. Now go buy a 3DS. Nope! That just means that I won't be playing Castlevania games. Its ok, I still have to play III anyways. ...I'm less excited for this than I would have expected. On the one hand, Lords of Shadow was a dreary God of War clone. Competent as it was, we simply don't need any more of those. On the other hand, Iga's Metroidvania-Halloween-Party style could use a big shakeup after like seven games that, while all great, are pretty damn similar. Sure, it's been four years since the last one, but I'm not exactly hungry for more yet. I'm not saying I want to see the series go back to the drawing board again, but I'd like to see someone revamp the Metroidvania style somehow. No. Now go play the 3DS that you already have. Anyway yeah, not super excited about another 2D Castlevania unless they really shake things up in some way, but definitely interested and will buy. It's just become a staple now. I'm always down for some vamp slaying in Castlevania. Hopefully that 3DS redesign is right around the corner so I don't have to wait too long to play this if the game comes out this year. And hey, now that I have a PS3, I can pick up Lords of Shadow which would be cheap now. I want to see a 2D perspective 3D Castlevania game on the 3DS in the style of the previous Metroidvania games for the GBA/DS games bad. There are two things I worry about though: 1) Is IGA involved? ; 2) Is it in the same timeline as the previous Castlevania games or is it in the new Lord of Shadows timeline? If it's not Iga, it's crap. Great news! I wish we could get those old GBA (and DS) Castlevania games on 3DS. They are some of the few games I regret selling when parting with my gba collection. the game will have two members of the Lords of Shadow creative team on board: producer David Cox and writer/director Enric Alvarez. I wonder if those that hate on Lords of Shadow even played it. Well, since both Harmony of Despair and Castlevania: The Adventure Rebirth have both come out more recently than the last 2D handheld release, I wouldn't be surprised to see another one on consoles someday. I played the demo. It was ok for a God of War game. ..wait, it wasn't a God of War game? Hmm. I dunno. It definitely was NOT what I wanted out of Castlevania in 3D. I imagine something more along the lines of Maximo. 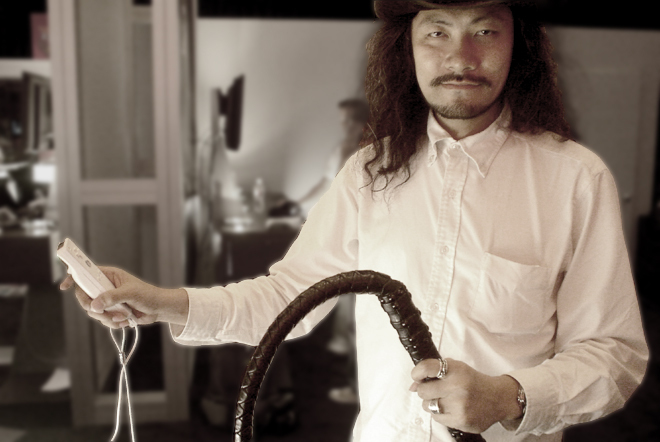 With whips. I don't hate on it. I liked it. And while I'm not super pumped on the notion of the umpteenth 2D Metroidvania, I don't want the series to become like Lords of Shadow. If I'm not mistaken, the demo didn't go deeper with the battle mechanics of light/dark and how you can absorb energy for those based on your combat performance. The longer you keep a combo going without getting hit, the more orbs you're rewarded with each hit. You then get to choose how you absorb those orbs in either the light or dark meters to be able to unleash stronger attacks. It's pretty fun actually once you get to unlock more attacks from the experience you collect and start chaining them together. It also gets a more Castlevania vibe the further you get into the game. I mean this is a reboot and it can't really start off feeling like a Castlevania game in mood because well, it's just setting things for games to come! In one of the rumors I read, the game was going to be 2D. Has that been debunked? (As much as you can debunk something that's still unofficial and unconfirmed). If so, that would be interesting. I think it would point at the series taking a new direction, or at least I would hope it does. I wouln't be terribly exciting about playing the nth Metroidvania. And I don't want a portable Lords of Shadow either. Well now I'm reading that the rumour is actually two games... Mirror of Fate on 3DS and Lords of Shadow 2. With Lords of Shadow 2 having actually been a Wii U Mirror of Fate at some point or something. Just go read the link.